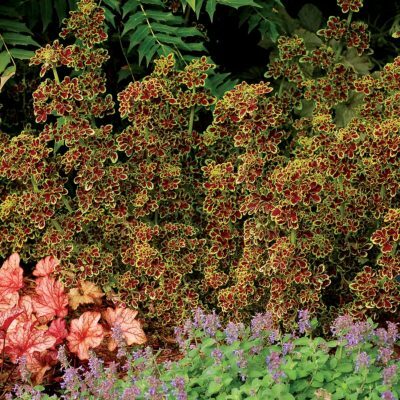 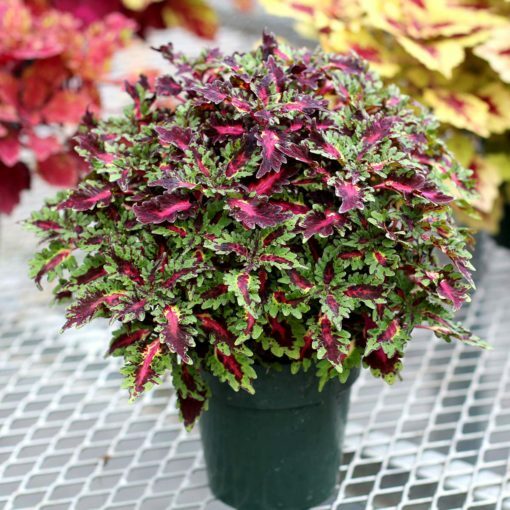 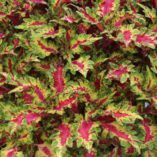 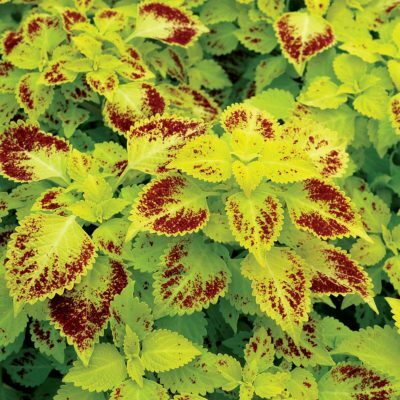 Coleus GLOBETROTTERS™ ‘Gaga’ | TERRA NOVA® Nurseries, Inc.
Like a perfect topiary with multicolored leaves. 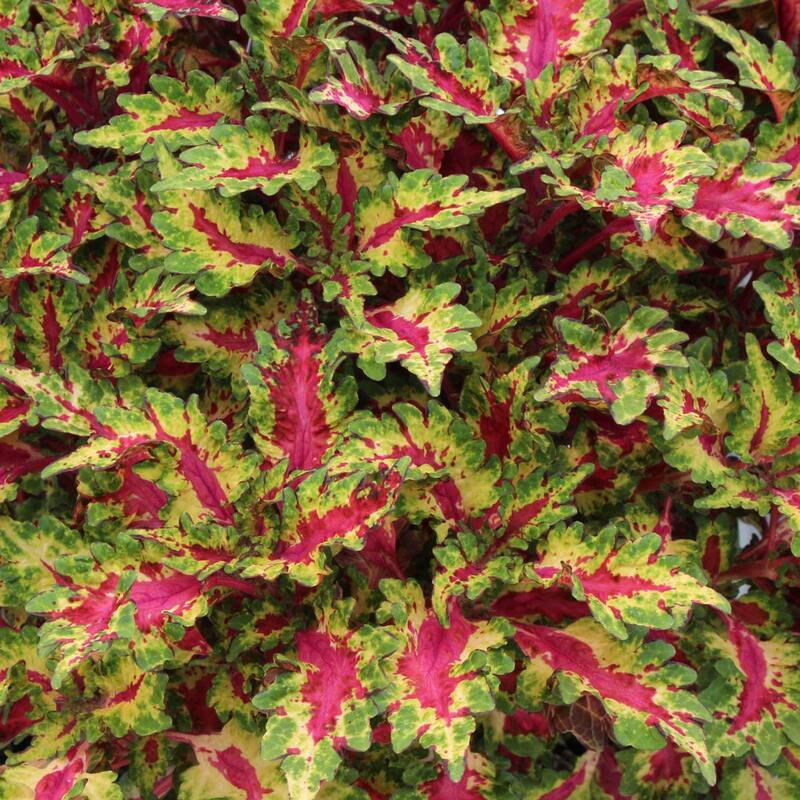 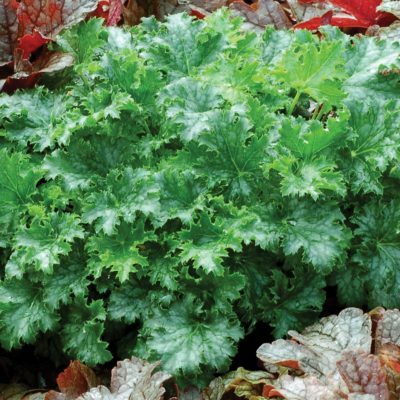 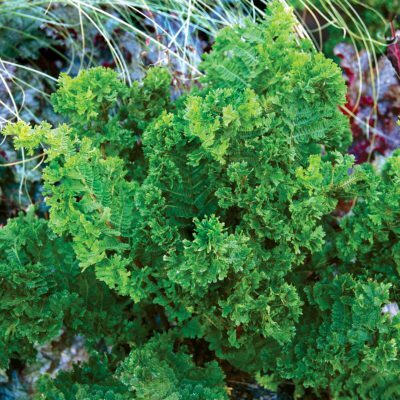 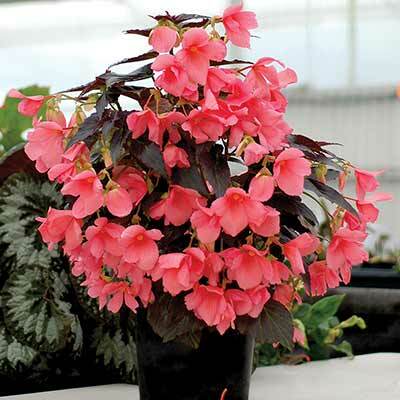 Leaves have hot pink centers surrounded by creamy yellow and edged with green. Unique habit. 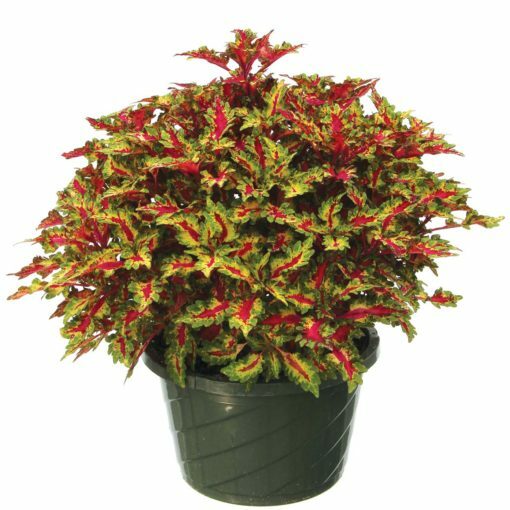 The GLOBETROTTERS™ have tight upright habits due to self-branching. They make great container plants. 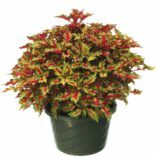 Given 5/5 points in trials at Disneyworld in Florida, warm season 2016.